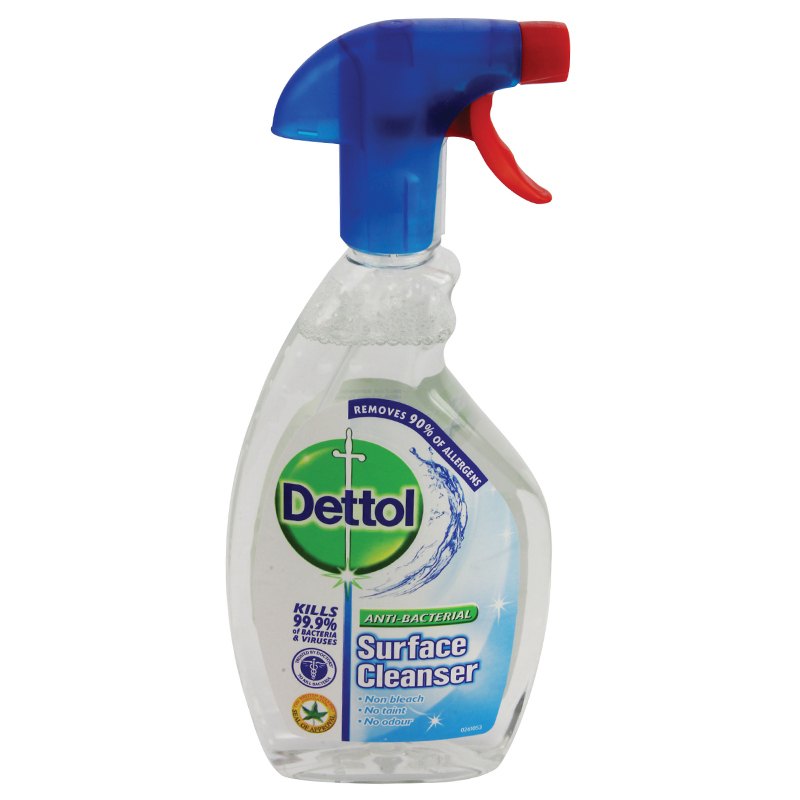 CPD04764 - Dettol Anti-Bacterial Surface Cleanser. This Anti-Bacterial surface cleaner contains no bleach and has no odour, making it safe to use in food preparation areas. The trigger spray bottle allows for fast cleaning, killing bacteria and germs with no rinsing required.